Sign Language: What Does Your Manicure Style Say About You? No, we're not bothering to speculate on what an old, chipped mani says about the wearer. But if you're into detailed nail art, bold colour, or pale neutrals, here's what your mani says about you. 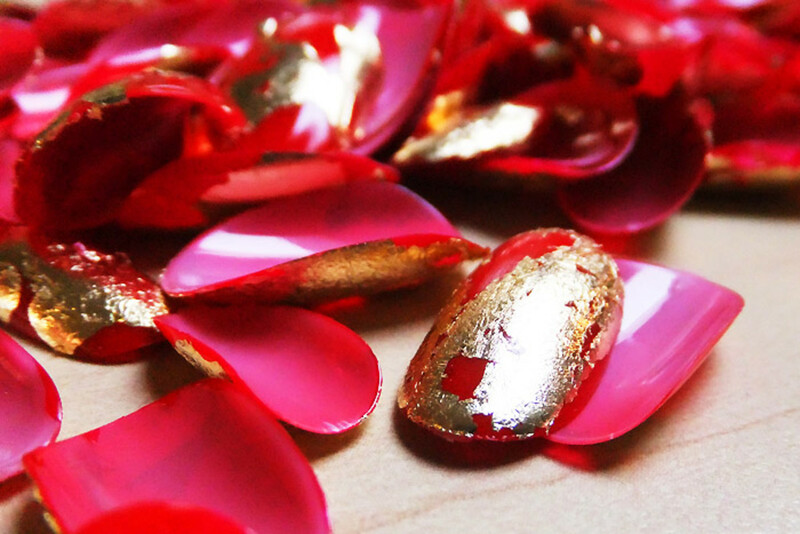 Red-and-gold-leaf nails, Ruffian FW 2012, Toronto Fashion Week. Neon brights, glitter, pastels, magnetic metallics, half-moons, patterns, ombre -- creativity abounds when it comes to today&apos;s hottest nail finishes and manicure styles -- and they&apos;re all about personal expression. So, what does your go-to mani say about you? Ruffian FW 2012 at Toronto Fashion Week. Nails by Tips Nail Bar, makeup by CoverGirl pro Greg Wencel for CoverGirl. A playful purple mani worn by Tips client Ashley for her wedding day. 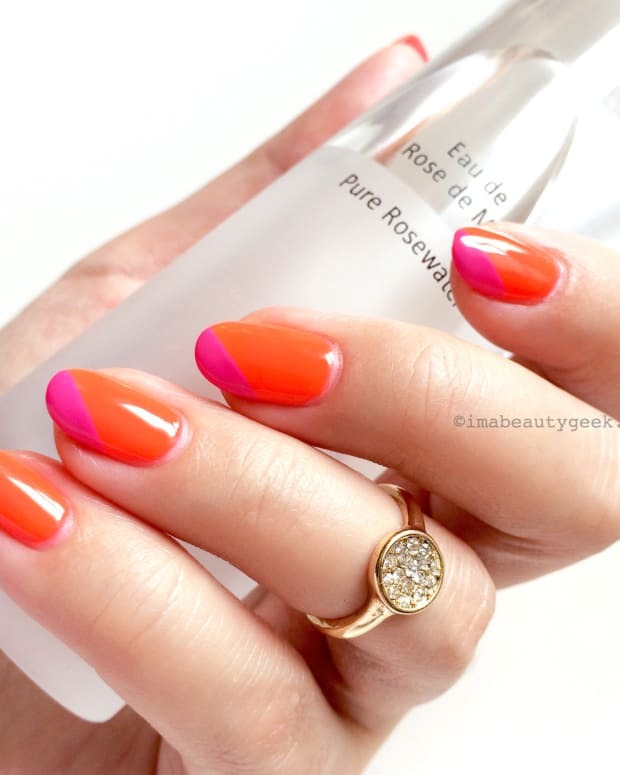 Bright Bold Colour Although generally you avoid intricate detail on your nails, you go fearlessly for high-impact colour. 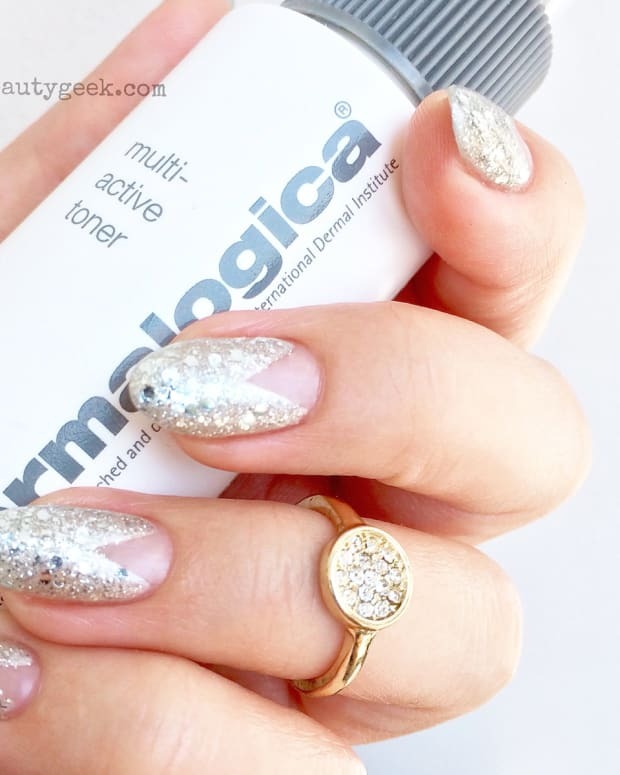 A solid shade, empty moon or single dot is your nail-art speed. "You don&apos;t need your nails in a spotlight, but you have a fun, outgoing personality that translates to your nails," says Leeanne. "Bright colour is such a trend that almost everyone is wearing it now. Even career women are going to work in brights and neons." 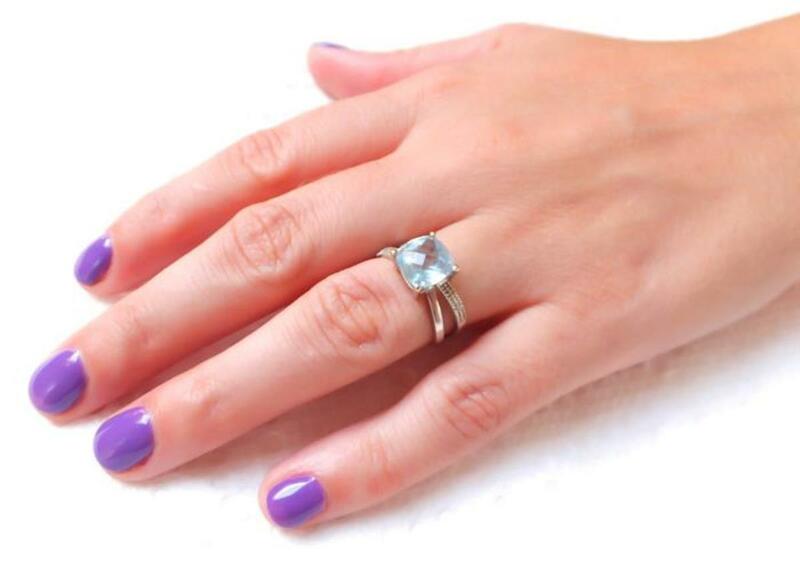 And brides, such as Ashley, whose mani is featured in the photo above, are more willing to choose colour for their wedding-day nails. Leeanne is the pro spokesperson for Revlon nail lacquer and a busy editorial nail artist on photoshoots for national fashion/beauty and lifestyle magazines, such as The Kit, Fashion, Elle Canada, Flare, Canadian Living and Chatelaine. 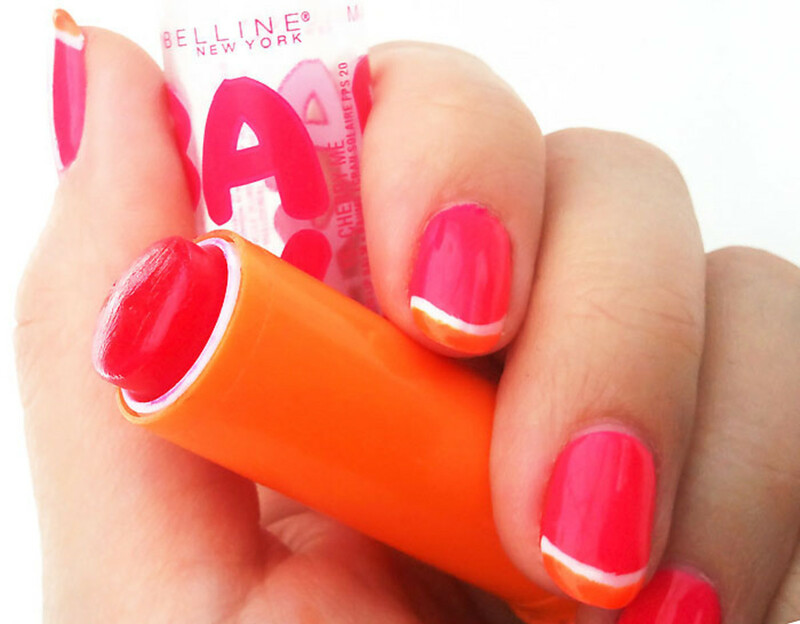 Interestingly, she&apos;s faithful to the solid-shade bold mani. "I love nail art and do it all day, but don&apos;t wear it myself. Really, I just get stuck on the colours I love." 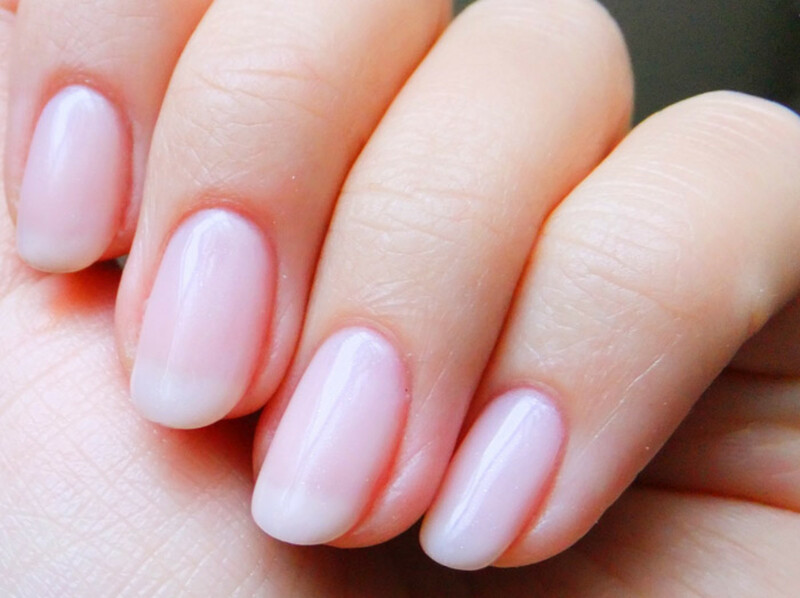 A pale pink, subtle-shimmer mani -- an unusual choice for me. Pale Pinks and Nudes While some people who continue to reach for soft, subtle shades are perhaps resistant to change, Leeanne says that often these choices are career-related. "You likely work in a very conservative, old-boys-network environment, and don&apos;t want to take the chance that your nails might undermine your authority." Or you&apos;re trying something new for a story, and the only colour they have is a pale, subtle-shimmer pink. Or your new school has asked you to sign a contract that stipulates low-key neutral nails, as is the case with my 11-year-old niece Erin. Whatever our manicure style, "a lot of us really go on what gets noticed by other women," notes Leeanne. "I have clients who choose a shade on one visit, then at their next say, "I don&apos;t want that colour again." When I ask why, the answer is always, &apos;because no-one complimented me on it.&apos;"
Chloe Comme Parris FW 2012 at Toronto Fashion Week. Nails, Tips Nail Bar; makeup, Maybelline New York, lead makeup artist Grace Lee. Which nail category are you? And I have to ask, because in other arenas the subject seems a tad controversial: would you wear a bold shade for your wedding day? HEY, WHAT ARE YOU WEARING RIGHT NOW? Toronto Fashion Week: Which Dark-Tip French Manicure Do You Like Better?